PLAY! 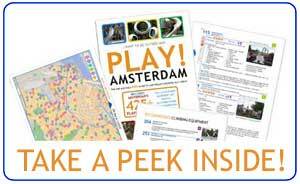 AMSTERDAM is a comprehensive, detailed guide to the 411 free and public play areas found within Amsterdam's A10 ring road, south of Het IJ river. List of football goals, basketball nets, skating ramps, wading pools, petting zoos and more! PLAY! 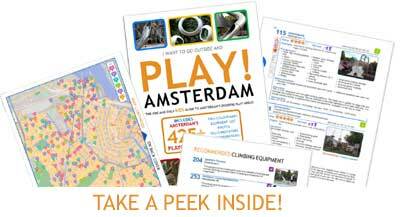 AMSTERDAM also has a very handy, full colour fold-out map showing all playground locations, making it easy to locate and look up corresponding descriptions. 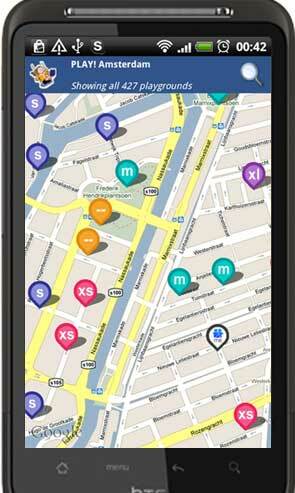 If you're a new parent or a family new to Amsterdam, this book essential for finding playgrounds in your area. If you are a parent on the move with kids in tow in Amsterdam, this book will be indispensible as you find yourself in other parts of the city or look for new ways to entertain your children. Looking for a great baby gift for new parents? Look no further! Just visiting? Make your trip to Amsterdam even more enjoyable by mixing up visits to top tourist attractions with visits to the city's top playgrounds. What a great idea! PLAY! AMSTERDAM is currently available in English and can only be ordered online. 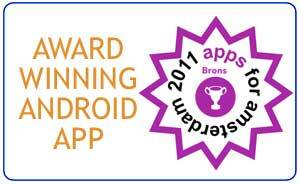 It is a high-quality book in a convenient A5 size that can easily be tossed in your bag and withstand lots of use.